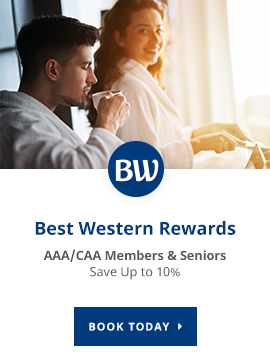 At Best Western Brantford Hotel & Conference Centre, we're proud to offer a selection of over 150 rooms and suites, including accessible, pet-friendly, family and luxury accommodations. Best Western Brantford Hotel & Conference Centre features 158 non-smoking rooms and suites to choose from. Whether you're visiting from out of town for a sporting event, attending a conference or a wedding, our wide range of room styles offers something for everyone. The Walter Gretzky Wing, featuring authentic Gretzky memorabilia throughout, is a quiet zone that offers larger rooms, wider hallways, luxury amenities and unique decor. In the East Wing of our hotel, you'll find an extensive range of comfortable, relaxing rooms and suites perfect for business travellers, couples, families, and even pets!